Even if only one astronaut is needed for an EVA, it makes sense to have a second suited up and outside in case of an emergency. Was there ever any exception to this number (e.g. 1 or 3) for the space shuttle or ISS? Gemini 4 & 9-12 and Apollo 15-17 had single-person EVAs, although with other crew suited inside the spacecraft. And of course, the moonwalks were always 2 astronauts. This question is for the shuttle and ISS. No single-person EVAs were ever done on Shuttle and to date, have not been done from the US side of the ISS. The only 3 person EVA in history was on STS-49. It was unplanned and in response to difficulties encountered grappling the satellite they were attempting to repair. There is a good, detailed writeup in Walking To Olympus starting on page 88. Here's part of it. 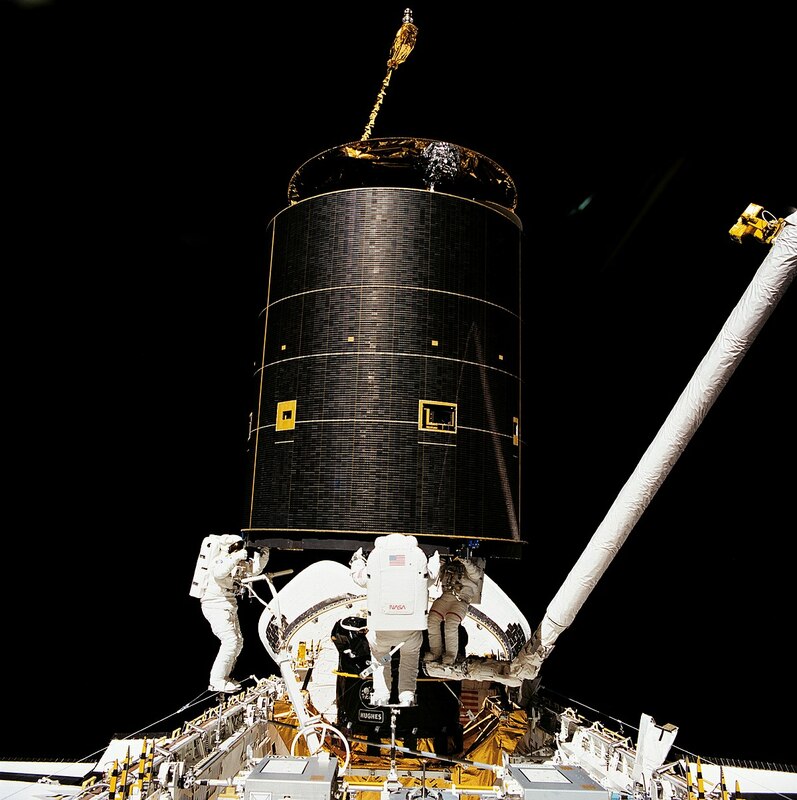 While controllers on the ground determined if Endeavour had enough propellant to carry out a third rendezvous, the crew proposed capturing the satellite using a three-person EVA (the first in history) and components of the ASEM experiment payload. The ASEM struts would be assembled into a triangular structure to which the three EVA astronauts could attach their feet. Endeavour would maneuver under Intelsat VI and the astronauts would grasp the satellite with their hands. Astronauts Story Musgrave, Richard Clifford, and James Voss used the WETF to test whether three astronauts could fit in the airlock at once and to determine positioning in the payload bay for the capture. Meanwhile, the Intelsat organization verified that the satellite’s surface temperature would not exceed the 160 deg C (320 deg F) glove touch temperature limit, and engineers from Hughes, the maker of the satellite, determined the best grab locations. At one point on May 12, seven EMUs were being used simultaneously: three in Endeavour’s airlock, three in the WETF, and one in a NASA JSC vacuum chamber. On this date, Kathy Thornton helped Akers, Hieb, and Thuot suit up, and the astronauts commenced the 100th EVA in history. By the time they were finished, it was also the longest EVA in history. Not the answer you're looking for? Browse other questions tagged iss space-shuttle eva or ask your own question. How many people can go on a spacewalk? Can astronauts inside ISS hear their crewmates doing EVAs?